Stream anime episodes online for free, Watch One piece Episode 106 English version online and free episodes. Anime Episode guide One piece Episode 106 English dubbed The Trap of Certain Defeat! Storming Raindinners! 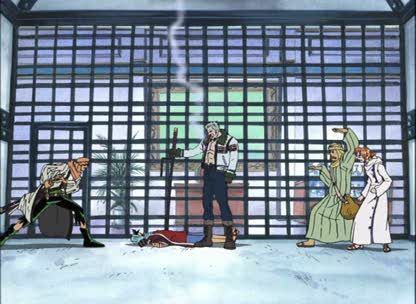 Most of the Straw Hats, along with Smoker, are trapped by Crocodile. Vivi reunites with the royal guardian Pell, but is captured by Miss All-Sunday. Crocodile reveals his invincible Devil Fruit power.